TTÜ Department of Health Technologies and Connected Health Cluster would like to invite students and e-Health enthusiasts to e-Health Meet-ups on 5. and 26. April. April 7, 2017 at Paabel (Ülikooli 17, across the street from the UT main hall). The traditional Institute of Computer Science Career Day is held on April 7 from 12.15-17.00 at Paabel (Ülikooli 17, across the street from the UT main hall). Head of the Institute prof. Jaak Vilo will deliver opening words at 12.15 after which the winners of the winter student project contest will be announced. Representatives of companies will be arranged in a fair in the atrium and room 105. Companies will give mini-lectures in rooms 115 and 219 from 13.00-16.00. Skype and Microsoft in Estonia are organizing a Hackathon for University students to create practical IT solutions to any kind of problems that they encounter in real life. This is a 2,5 day event where you can turn your wild idea into something real, get help from Skype engineers, connect with other bright students, build something amazing and have fun! Theme of the Hackathon: you can work on anything - app, academic project, solution for a problem that students have, etc. If you have an idea that needs to be made real - this is the best place to do it. If you do not have a project idea before the hackathon - no problem, there will be plenty of ideas pitched at the start and you can choose which one you join. Come join us for a stellar day! 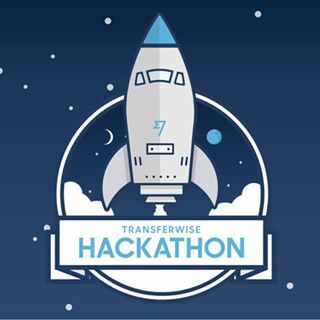 TransferWise Hackathon is a 24 hour Fintech event for University students. Learn about Product Engineering, Start Up thinking, and turning big ideas into a prototype. TransferWise employees will be on site to guide you to success with training and mentorship. There will an energetic vibe, plenty of freed food, RedBull, and awesome prizes.